Here one of the most beautiful True Black 3/4 Accoyo Herdsires in the country! 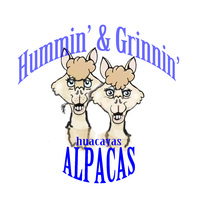 Sunset Hills Farm focuses on only the top Herdsires to breed its alpaca herd to, now you can too! Tres Cuartas Accoyo Black Expresso has an appealing upright stature, typey body frame with the most desirable head and fully-covered super shiny, super fine fleece we have ever seen in a True Black Male. Expresso has already settled 5 females at age 18 months and no one is more pleased than we are to look forward to his progeny next Spring. Winning in the show ring and with the females on our farm, make Tres Cuartas Accoyo Black Expresso the True Black 3/4 Accoyo male to bring the color you desire in your herd. Expresso's first offspring, Sunset Hills Macchiatto, Sunset Hills Mochachino and Sunset Hills River Brewmaster have won Color Championships in their first year of showing! 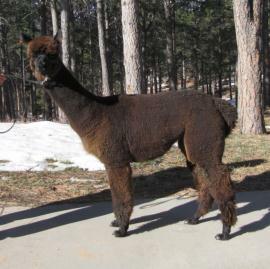 Expresso is proudly co-owned by Sunset Hills Farm Alpacas & Meadowgate Farms. Abby is a great mama and has produced several show winning offspring. She has great conformation, a wonderful presence and her micron has not changed more than a couple microns since she was born. 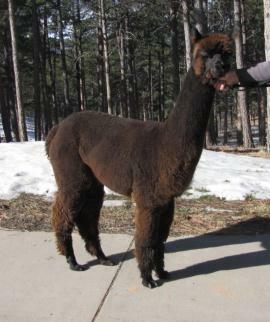 And if that weren't enough, she is a very sweet natured alpaca who is very easy to work with. Out of the fabulous bay black Accoyo Black Expresso, she combines the Accoyo heritage with a solid deep color background on the TB dam's side. We just traded one of our best white females for Adalie and she is a true "keeper". 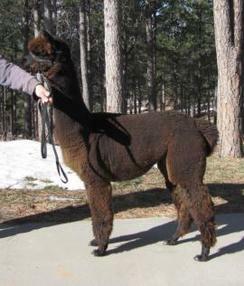 She has it all: Excellent conformation, fine fleece, perfect bite, good coverage and a pleasing personality.